Back before units of measurement became standardized, weights for different things came from different scales. Some of these survive today, such as measuring a horse’s height in “hands” or still using the Troy Ounce to weigh gold. Another is the carat for measuring the weight of a diamond. A carat is actually, despite how we use it today, a measurement of density and not weight. The carob seed was the chosen as a method of weighing precious metals and gemstones. This was due to the belief that it is always the same size and weight. This belief proved incorrect, but the method continued into the 20th century. Today, 1 carat is equal to 200mg. This “metric carat” came into use in 1907, and is now the official unit of measurement for gemstones. The weight of any gemstone is accurate down to 1/200th of a milligram. The nearest 10th eg 0.6ct or 1.5ct is the norm for indicating the weight of a diamond. A single diamond will have a single carat weight. This weight depends on the cut type and even the quality of the cut itself, as well as the size of the diamond. Unless a solitaire setting, a ring will have more stones for which the weight should be available separately. 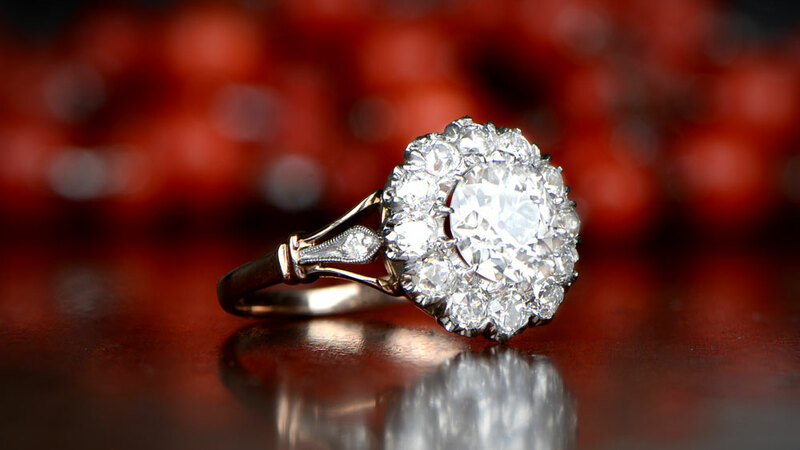 Often, especially when a ring with several small diamonds undergoes appraisal, this weight is an approximation. These smaller diamonds, often less than 0.15ct in weight, when added to the weight of the center diamond, gives the total carat weight. Called “melee diamonds”, diamonds at such small sizes are not subject to the same weighing procedure as other, larger stones. The total carat weight is sometimes used in order to give the ring more importance than it deserves. Small diamonds in pavé settings, for example, are there to add visual appeal and to “show off” the center diamond. They will often be lower quality than the center diamond, so the total carat weight is not an indication of overall quality. Melee is the accepted term for small diamonds under 0.15ct. 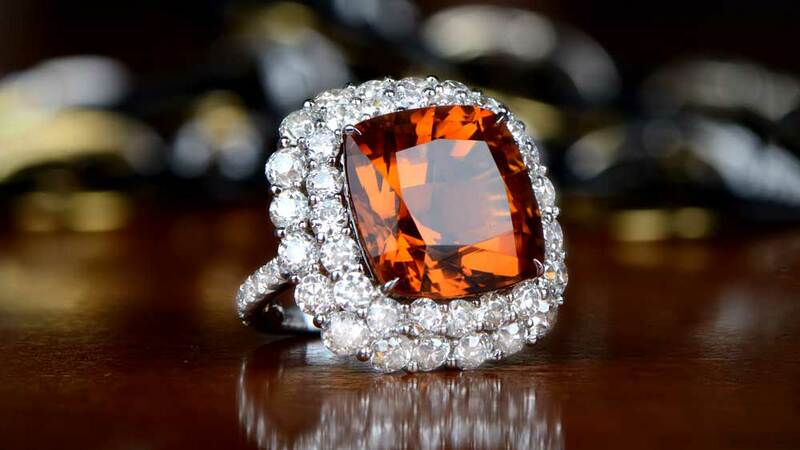 Such stones support a larger center stone rather than being the main element of the ring. Generally speaking, melee diamonds will not be especially high quality. They are often dealt in bulk lots and then require grading and separating accordingly. Perhaps surprisingly, the vast majority of finished and polished diamonds are melee diamonds. It is extremely difficult to grade melee diamonds, due to their size. Even after grading the price is likely to be much lower, carat for carat, than a similar quality larger stone. Rather than weighing each individual stone, a sieving process takes place. Melee diamonds are sieved collectively through baskets with ever larger holes. Once the smallest have all been sieved out, the remaining diamonds are put through the next size up. And so on until all the diamonds have managed to fit through a sieve. Each group of diamonds at a particular “sieve size” will all then have a price as though they are the same weight. This is in spite of the small differences in actual size and weight. Again, this means that the weight of melee diamonds in a given total carat weight is not an indication of quality due to the tolerances in the sieving process. It is this which causes the approximate weight part in a total carat weight. Once out of melee size range, grading and pricing diamonds becomes more straightforward. The cut type is more recognizable and inclusions are much easier to separate. The quality of the cut and the color are also much easier to determine. In addition, the weight of the diamond becomes absolute. By the time we get to 3 carats, the weight is usually in half or quarter carats. 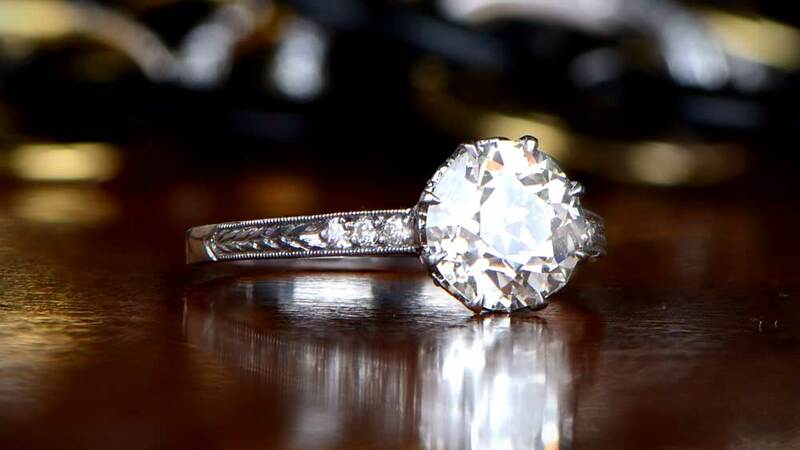 What this means, in effect, is that a 3.4ct diamond will often have the same price as a 3.1ct stone. The next increase will usually come at 3.5cts. Some dealers do price per 1/10th of a carat, but this is not the norm. 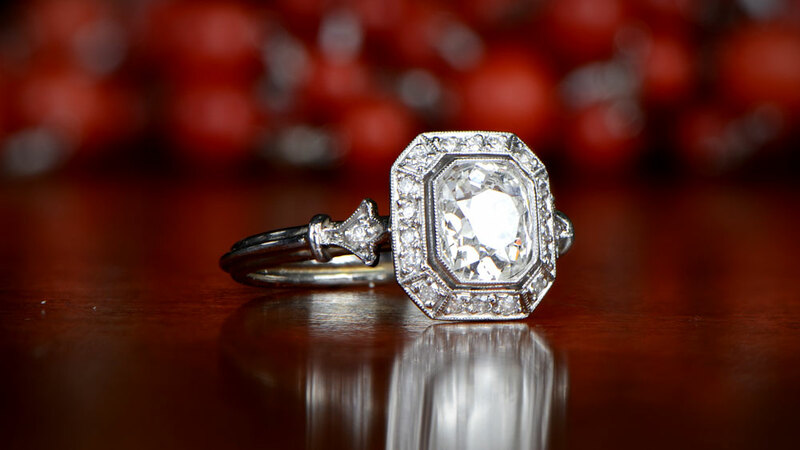 It’s not always the case that diamonds other than the center stone don’t really count towards the weight or quality. Some rings will have diamonds well over 0.15ct in weight, alongside the main diamond for example. It does, though, mean that some care is needed when deciding whether the total carat weight of the diamonds in any setting is accurate, or whether you have all the necessary information. Always look for the weight of the center stone (assuming there is one) separately. If it isn’t available, be very wary. It could mean that the diamond has damage where you can’t see it, or is lower quality. By the same token, if there is more than one stone, then a total carat weight should always be available. If it isn’t, although not as critical as having the single diamond weight, you need to know for insurance purposes.